On May 25th, the Athena Center co-sponsored the G(irls)20 Summit in Mexico City. The G(irls)20 Summit brings together one girl, aged 18-20, from each G20 country and the African Union, two weeks before the G20 leaders meeting to look at their agenda and develop a blueprint on how the G20 leaders can utilize and engage one of the best resources in the world – girls and women. The Center’s Erin Vilardi attended the conference and provided leadership training to these accomplished young women. The intensive workshop, using a case study of women's participation in the Egyptian revolution and new media strategies for advocacy and activism, left the girls inspired and engaged. The final communique to the G20 Leaders, developed by the girls can be found here. On Saturday, June 9, 2012, the Athena Center held a professional development program -- Getting Your Financial House in Order -- a full-day financial fluency workshop on Barnard’s campus. Taught by Caroline Ceniza-Levine, Rhonda Gelb, and Galia Gichon, the workshop trained 15 adult women from across New York, providing detailed advice and practical tips on how to negotiate salaries, day-to-day finances, and retirement planning. As one participant shared, "I found it really useful . . . and actually walked away with several things I can put into place (one of which I did yesterday!)." On the evening of June 12th, in partnership with the Urban Girls Squad, the Athena Center provided The Language of Power & Persuasion in the Workplace, a workshop on communications for 30 women from across the city. In this interactive session, trainer and coach Raleigh Mayer, helped women learn how to use precise and powerful language to deliver a compelling message, organize content and deliver engaging presentations. 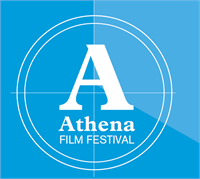 The third annual Athena Film Festival will be held the weekend of February 7-10, 2013. We are delighted that Debra Martin Chase, Jon and Diane Levin, Regina Kulik Scully, and Jennifer Siebel Newsom have agreed to be the 2013 Festival Co-chairs. And Jennifer Christman '84, P15, has agreed to head the Film Selection Committee. Festival Co-Founders Kathryn Kolbert and Melissa Silverstein are headed to Los Angeles next week to introduce the Festival to the L.A. film community at the home of Diane and Jon Levin. The Festival will begin receiving submissions from filmmakers this month. More information about the Festival criteria and how to submit films can be found at AthenaFilmFestival.com. If you'd like to join our Film Festival subscriber list and receive updates and emails on the Film Festival, please sign up here. The Athena Center is proud to co-sponsor the National Council for Research on Women’s Annual Conference that will be held June 20-22 at the Georgetown University Conference Center in Washington, D.C. The twin focus of this year’s Conference is on strengthening women’s economic security and advancing women’s leadership, two critical areas in the path towards greater gender equality. Scholars Program Director, Abigail Sara Lewis will be representing the Athena Center at the event. Click Here To Register for the NCRW Conference.